The RealReal is obsessed with curation. One of its most fashion-forward curation features is the ‘Editors’ Picks’ section of the site, where the team, based in San Francisco, handpicks items for specific customers based on previous browsing data. But The RealReal sells more than clothes -- jewelry, gems, art and furniture, to name a few -- as well as provides expert insight on endless categories of luxury staples. The app allows shoppers complete customization of their feed and the ability to filter products in dozens of ways. The feed updates whenever a new arrival matches a chosen preference, scoring shoppers the perfect item without the hassle of browsing. 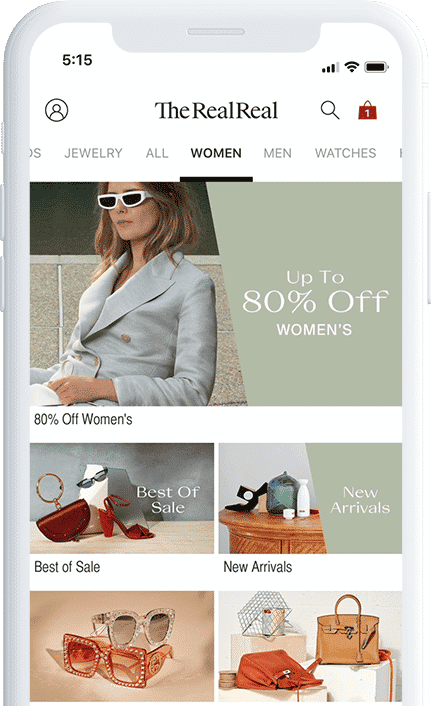 The RealReal recently optimized its collection by keyword so shoppers can easily find anything (and everything) they’re looking for while staying on trend, with a team of more than 800 luxury gurus on email, mobile or web. The RealReal allows people to fully personalize their experience with a top notch preference center. 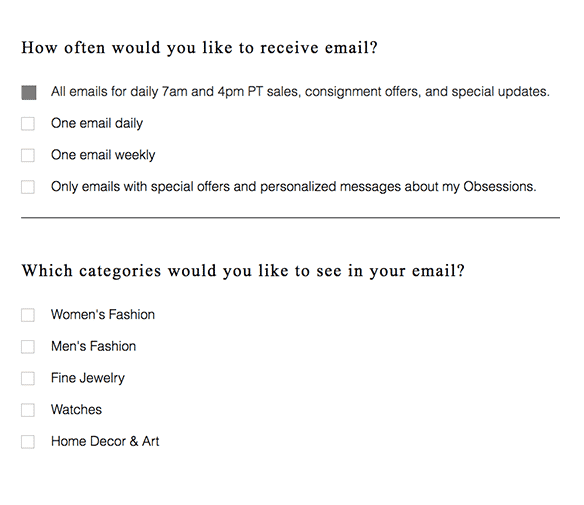 Shoppers have control over when they hear from the brand, whether it’s twice a day or only when there’s something to share about an “obsession.” In addition, The RealReal’s customers have a say in the categories included in email communications. The RealReal loyalists receive a $25 credit when they sign up and access to exclusive sales and events, as well as free in-home pickup for consignment items. 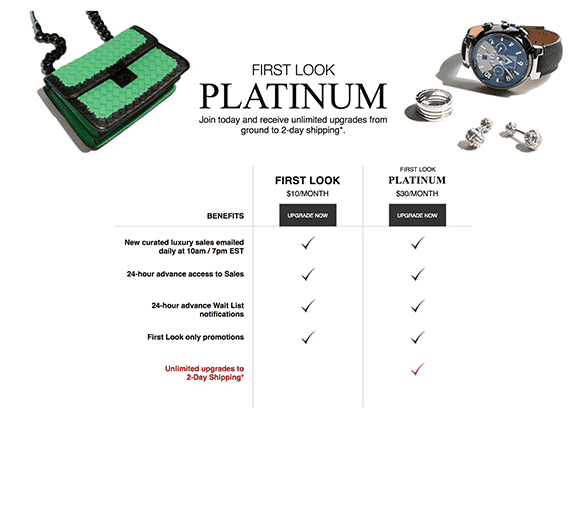 First Look is a tiered loyalty program, promising extra perks to paying members. A well-designed mobile app makes shopping (and selling) with The RealReal easy as pie. The app organizes alerts and sends convenient push notifications about products in order to keep both buyers and sellers in the loop the whole way through.